Winter weather can really put a damper on social plans. 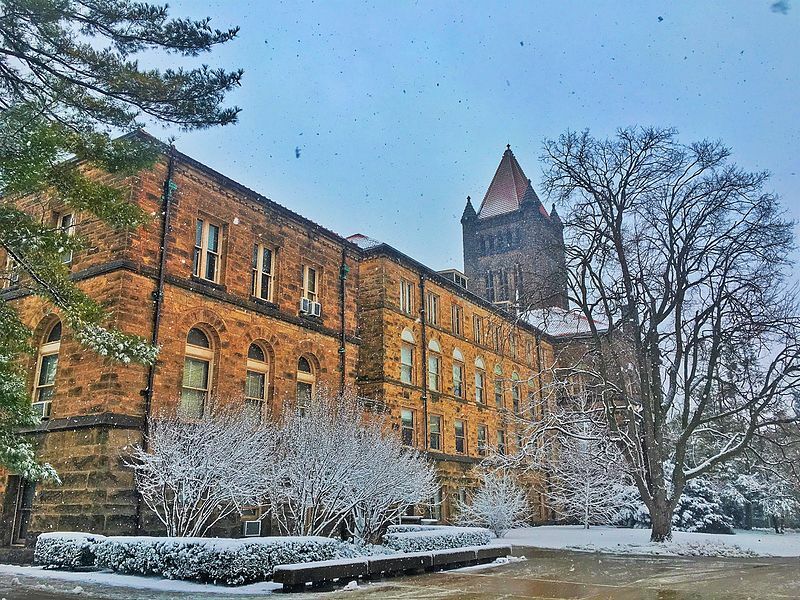 Thankfully, there are options near the University of Illinois campus that allow you to enjoy a fun time without suffering through snow and ice. Here’s a list of ways to stay social in the wintertime that are unique to the Champaign area. It might be an oldie, but you can’t argue with the great things the YMCA does. While offering activities for anyone in the community, they also provide free fitness and health activities for children in the area. While the weather is hard to handle, you can easily run on the indoor track or climb their 30-foot indoor climbing wall. Speaking of climbing walls, the ARC has an even taller one at 35 feet. With a 35-person sauna, an Olympic-size indoor pool and hundreds of weights and training machines, the ARC is one of the closest and easiest options for indoor activities near the UI campus. Open since 1931, the University of Illinois’s Ice Arena is a mainstay of UI campus activities. Also known as the Big Pond, the ice-skating rink offers free skating to UI students as well as Wednesday Evening Cheap Skates deals for your off-campus friends. Warm up from this Illinois winter with a game of tennis at the Atkins Tennis Center. With six indoor courts, you’re bound to find a space to play. Another perk? The tennis courts are free to the public as well as UI students. Finding a thrilling activity can be hard in the middle of winter, but getting your adrenaline flowing at Brainstorm Escapes is easy. It’s a conspiracy theory-themed game where you and your team find clues and solve puzzles to move from one room to another until you finally escape. Gather your smartest UI friends and beat the game. It might sound like just another field trip locations, but Parkland College’s William M. Staerkel Planetarium is anything but. With shows featuring Pink Floyd music or video game tournaments centered around Starship Artemis, there’s something entertaining and educational for everyone at the Planetarium.